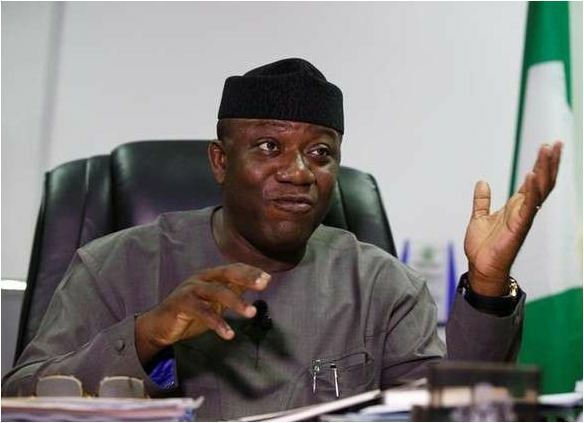 Ekiti State Governor, Kayode Fayemi on Monday criticised the decision of the Academic Staff Union of Universities (ASUU) to embark on strike. According to him, tertiary institutions in the country had fared better under President Muhammadu Buhari. Fayemi said this in Paris at the end of the President’s interactive session with Nigerians living in France. He said; “If you talk about tertiary education, ASUU is on strike, but you ask yourself, why is ASUU on strike. ASUU claimed that it is on strike because it wants improvement in the fortunes of education in Nigeria and that government has not lived up to expectations. “I made bold to say that no government has done as much as this government has done, not just for ASUU, but for tertiary education in our country. “Is it enough? Absolutely, it’s not going to be enough. We have to keep doing more”, Nation quoted him as saying. “But ask yourself what was the average wage in the University system before. A university professor earn more than me as a governor. My salary as a governor is N500,000. Most university professors earn about the same amount, if not more. “Yes, you may argue that there are other opportunities available, there are also other opportunities that are available that are not being taken advantage of by our academics. I can say a little bit about this because this is my terrain. “I do not think that ASUU on its own strength can argue that government has not done well. There is hardly any institution in Nigeria today, including states universities, that have not had the benefit of intervention. “It is either the government is building an auditorium or rehabilitating a laboratory, or improving on students hostels in virtually all the universities as I speak to you. That’s what TETFUND does via their intervention funds. That again is not the complete solution. “Can we continue to maintain a tuition-free education in Nigeria, in even Federal universities. What UNESCO pushes for, what most universal human rights positions argue for, is that basic education should be free. Basic education is free in Nigeria right up to secondary schools. “As for free university education, I’m not so sure that is what we really need right now. But in order to address that, we also must elevate the place of technical and vocational education in our country so that we don’t see those that go for technical education as inferior to those who go to universities. “Our educational system should focus on functionality rather than just certificates. I think this is what ASUU and other drivers of change in our economy should be arguing for. “Can we add more resources to education budget? Absolutely we can. But when you have competing needs, you cannot have everything that you want. And this is something ASUU needs to know”.